Join our morning City Tour 781 and get an orientation of Hobart before visiting one of the city's most exciting venues. A visit to the Museum of Old and New Art (MONA) will open your eyes to a gallery experience unlike any other. The pieces on display will take you on a journey of rival contemplations and emotional roller-coaster. 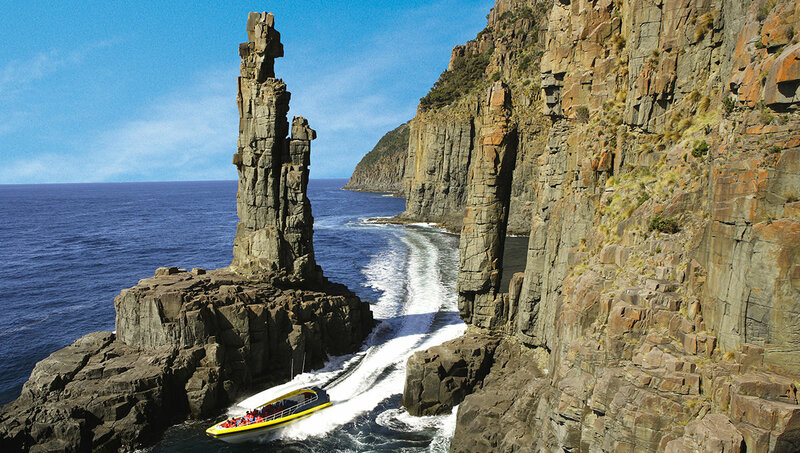 This tour starts with our three hour Hobart Historic city tram tour and then joins the ferry for a ride up the picturesque Derwent river to MONA. See the exquisite Royal Tasmania Botanical Gardens featuring 'Pete's Vegie Patch', made famous by Peter Cundall of ABC's Gardening Show. A visit to the Museum of Old and New Art (MONA) will open your eyes to a gallery experience unlike any other. The pieces on display will take you on a journey of rival contemplations and emotional roller-coaster. Take a cruise on Carnarvon Bay around the "Isle of the Dead". For beer tastings and a glimpse inside a historic brewery, book a tour of the 180-year-old Cascade Brewery, the oldest in Australia. The 1.5-hour tours of this Gothic brewery include tastings and insights into the brewery process, plus lots of stair-climbing to work up a thirst. Dress comfortably but safely to tour the brewery, wearing long trousers and flat shoes, rather than sandals. After the tour, take a wander around the brewery’s large landscaped gardens or relax in the cafe. Cascade brews premium lager, barley blonde-style beer, stout and pale ale, and the label features the trademark Tasmanian tiger. Cascade Brewery is at the foot of Mount Wellington in South Hobart, 10 minutes by taxi from the city center. You can catch a bus 44, 46, 47 or 49 to the brewery from central Hobart. Hours: Open daily tours operate at 11am and 1pm. Reservations required. Our original, longest running Bonorong Wildlife Sanctuary tour. Overlooking the Brighton Valley, the sanctuary offers close-up experiences of Australian native animals. Richmond, a Georgian style village resplendent with mellow stone cottages will take you back in time to the convict days. Time to explore Richmond - the bridge, the Gaol, convict built homes, small cottages, unique shops and restaurants. There will be an educational display of baby Tasmanial Devils and Baby Wombats on Wednesday from 18:00-19:00 in the Exhibition Foyer prior to the Conference Banquet. Crowned by alpine vegetation, dusted by snow in winter, Mt Wellington enables the visitor to glimpse the unfolding panorama of river, fields and the aquatic setting of Hobart town. Walk the tree tops of pristine forest at Tahune Forest Airwalk having traveled the Huon River Valley, a region of tended fields, superb forest clad rivers and fishing villages set by picturesque inlets. What is the Tahune Forest Airwalk? The Airwalk is located in the Tahune Forest. The Airwalk varies between 25 and 45 meters in height and the walk itself is more than half a kilometer long amongst the magnificent forest canopy allowing a unique view of the surrounding environment including the Huon and Picton Rivers. It takes approximately half an hour to walk through and is a level walkway. Time is also available for a second walk on the ground (boardwalk) through the Huon pines. There are disabled facilities and access to the site. There is a bus stop outside the hotel - why not have an adventure. If you are staying at the conference venue (Wrestpoint Casino) please book through through Guest Services on (03) 6221 1888 or call in the the Guest Services desk at the hotel. If you are staying outside the conference hotel please book direct with the tour operators using the links and phone numbers provided. Please note that the conference organizers are in no way responsible for the suggested tours and receive no commission from the tour operators.